Paljas (Pahl-yahs) basically translates to clown or jester. It is something you would call a good friend who is funny or jokes around. It is an apt name for these beers because they are all good beers that can add to a great time with friends. One of the challenges this brewery has taken on is to brew full flavored beers at low (by Belgian standards) ABV. All of their beers are at or below 6%. This means that you can have a few throughout the course of the evening and not worry too much about having too much (Always be conscientious of your own thresholds and always drink responsibly). Lower ABV without sacrificing flavor. Nice. Special Note to Pubs/Restaurants: This brewery is very serious about the US market and has a lot of great POS to support their entry. They came to play! Paljas Saison is an unfiltered and high fermentation Ale and is refermented in the bottle. The use of a certain percentage of wheat and the light use of dry-hopping gives the beer a very nice flavor and fresh aroma. Specific strains of yeast ensure almost all sugars are fermented which makes it a dry and drinkable beer for nice summer days. 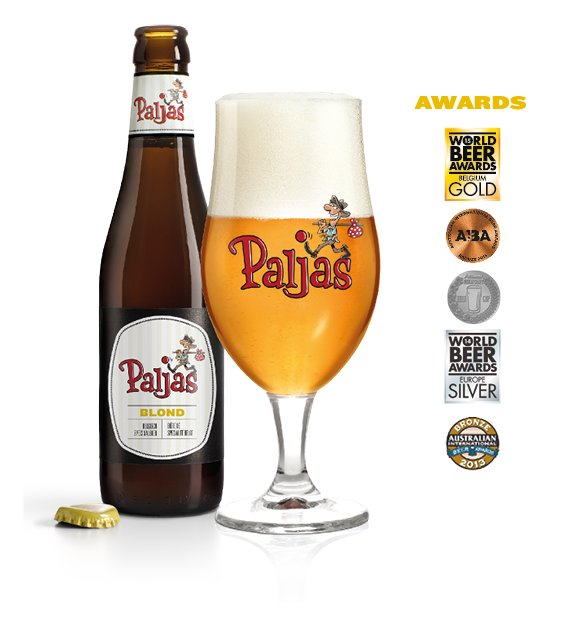 Paljas blond is a traditional high fermentation unfiltered beer and is refermented in the bottle. The beer is produced with natural ingredients and the four different hops give it a taste full of character and a distinct fresh aroma. 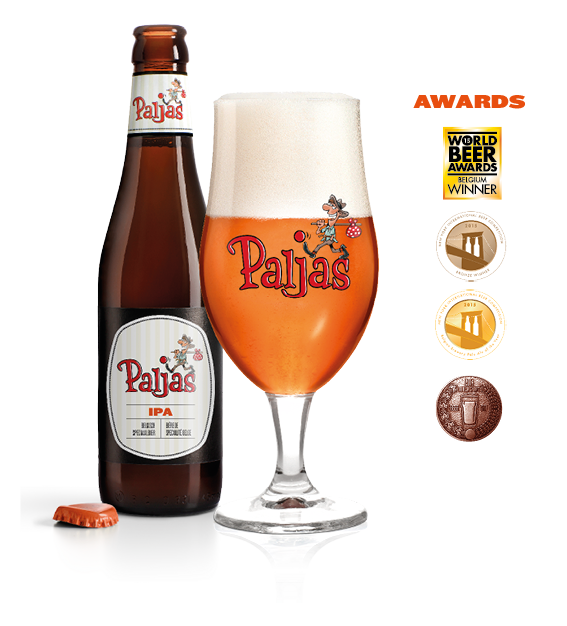 Paljas Indian Pale Ale is brewed with 100% pale malts. The 4 selected hops (Tomahawk, Cascade, Saaz and Amarillo) give a fresh hoppy aroma and a nice bitterness of 35 IBU. This well balanced IPA is dry-hopped with Nelson Sauvin and Hallertau Blanc hops, which gives some flavors of Sauvignon Blanc. 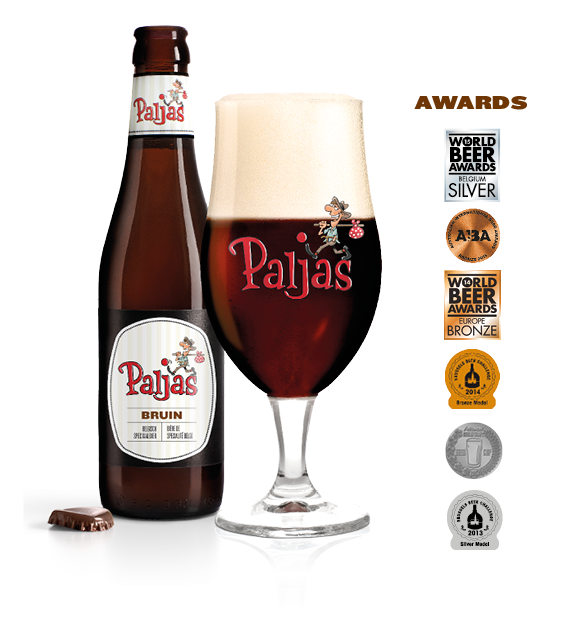 Paljas Bruin is a traditional Belgian brown beer of high fermentation and is refermented in the bottle. A rather dry dark speciality beer made with dark malts and 4 hops which gives it a nice rich flavor. Contains Barley Malt.